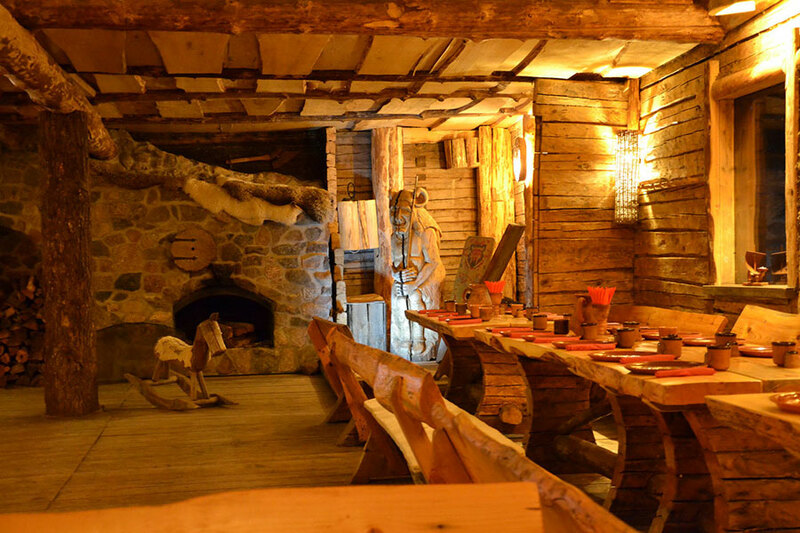 The Great Hall of our Tavern can accommodate up to 84 partygoers. There is a small stage corner in the Hall, where musicians or DJs can play music for the guests. When filled to the brim, the Hall can hold up to 140 people, although this leaves no room for musicians or dancing. 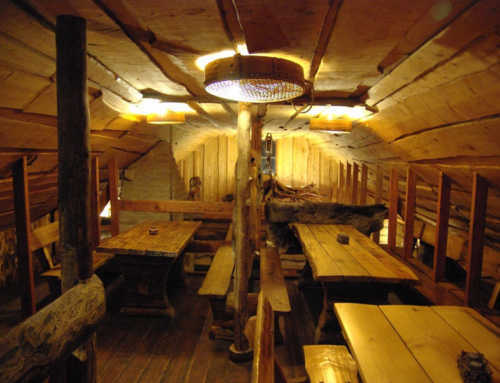 The Great Hall is fitted with a fieldstone oven, on top of which lies the chieftain’s bunk. The oven is guarded by a devil statue carved from oak. This has always been one of the favourite spots for children to rest their legs. 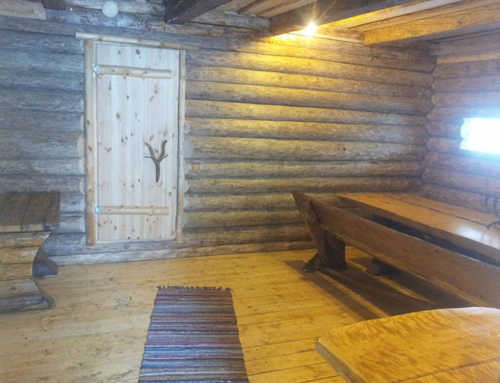 Upon request, we can also light a fire in the fireplace. The Hall is equipped with a stereo system suitable for playing your own music from both CDs and USB devices. The Great Hall is available for use with accommodation. 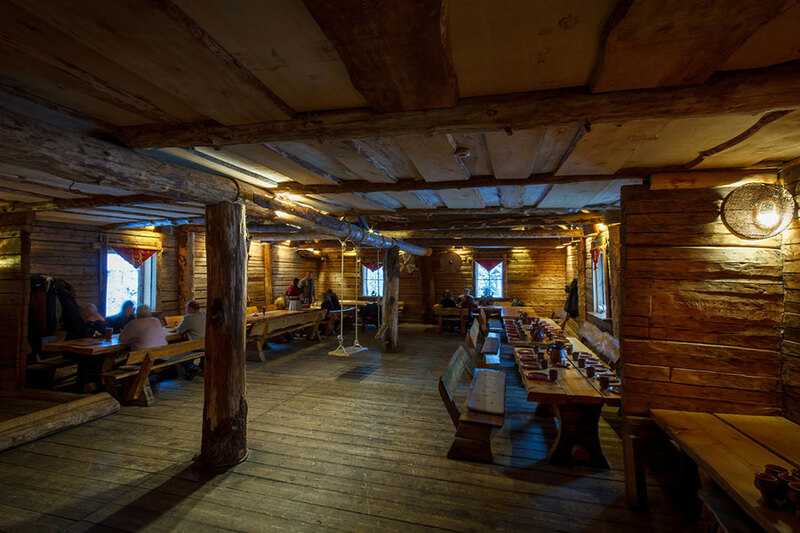 Bedrooms are located on the 2nd floor of the building and the main Tavern building can sleep up to 40 people; the rooms are all different and the guests can select the room of their choice beforehand. 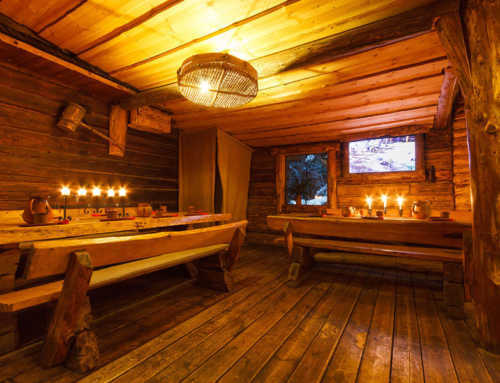 For an additional fee, guests can also stay in various forest cabins which offer even more privacy! 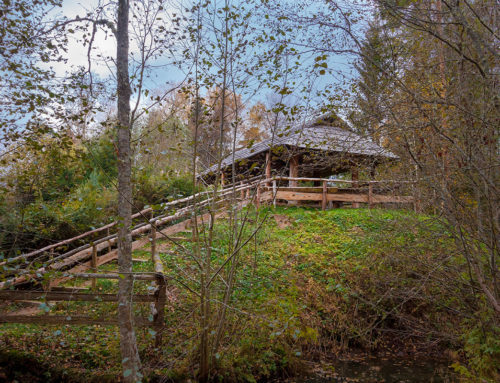 This brings the total number of sleeping places in the Viking Village up to more than 90! The perfect place for weddings, birthdays and celebrations. Contact us for getting offer suitable both sides! We sure will have agreement! When our village is open and you order catering from us – you can rent hall up to 4 hours free of charge! We will provide you with a quote depending on the event. Prices do not include VAT! 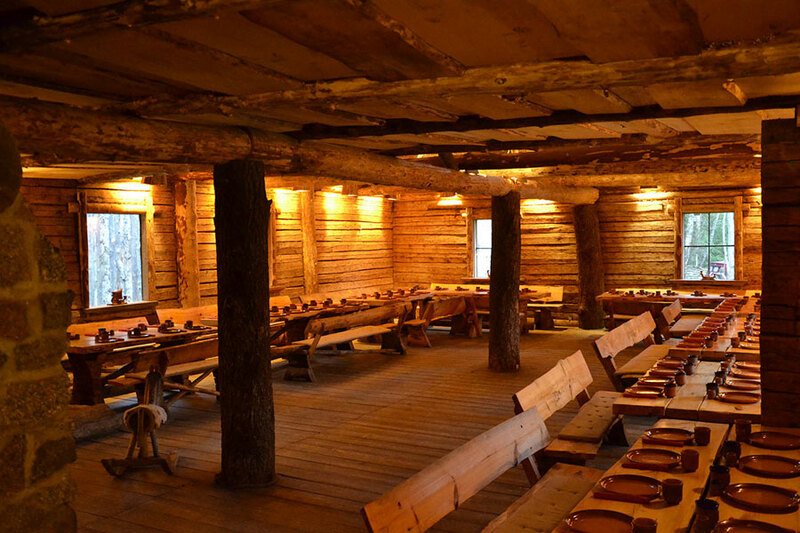 When organising a large private event in the back of the Tavern building, access can also be provided to the Central Hall, which can hold up to 25 people, and the Warriors’ Hall, which can hold up to 40 people. This brings the total number of seats to 150. 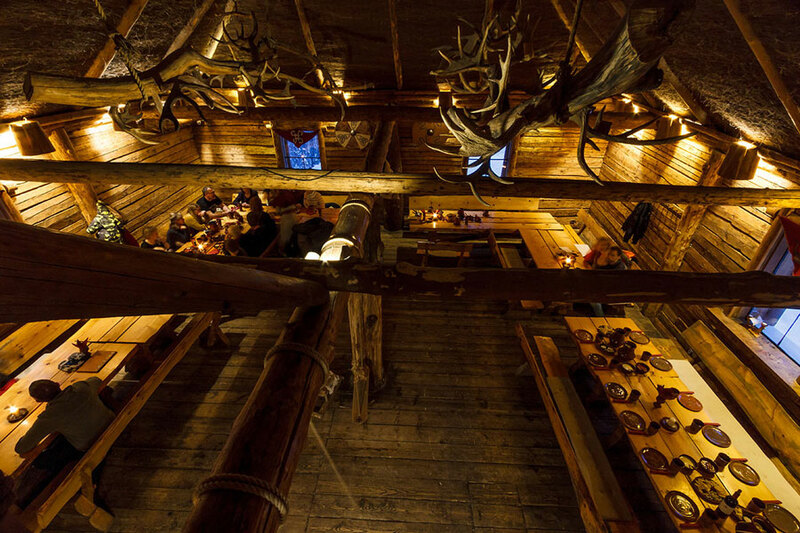 The guests can be provided with complete privacy from other Tavern visitors. The halls have a separate entrance, and access is also provided to the courtyard behind the building. 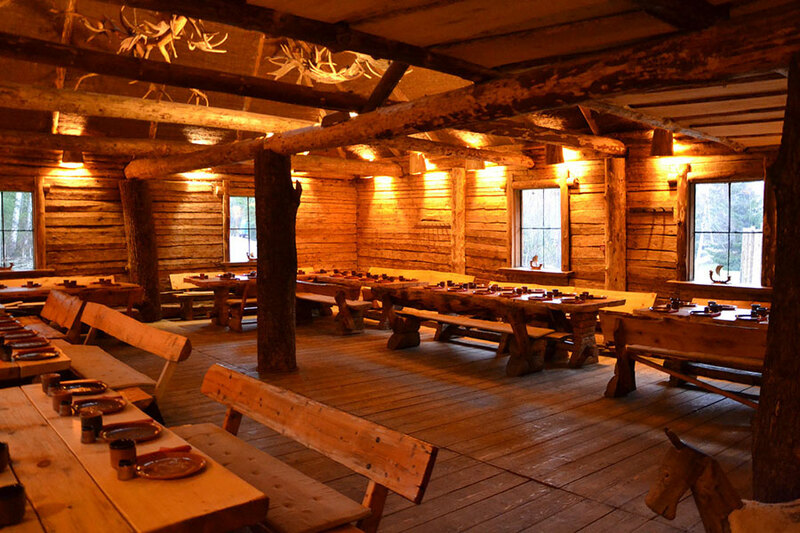 For an additional fee, the Great Hall can be decorated according to your wishes (birches, spruces, candles, animal skins, pine cone and moss arrangements, etc. ).